Life is more than just going through the motions. 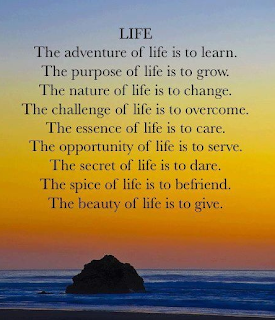 Life encompasses all different aspects including learning, giving, challenging and loving. 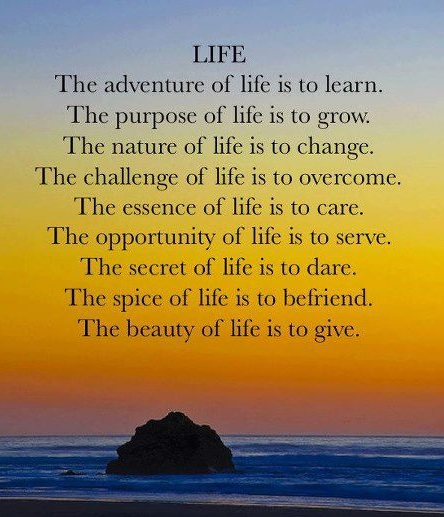 This great quote shared on Pinterest by Katy Adshade, via Allison McClelland, reminds us of all life offers us. If we are ever discouraged with our current situation, we need to sit back and evaluate our lives. You may be surprised to find that for a smooth ride, you need to be accepting of each aspect and what it has to teach you.